Made this image at a place where thousands of demoiselle cranes congregate every year. Each morning, villagers lay out grains to feed the flock. Their numbers grow from 30-40 in the early winter to 10, 000 during peak winter. We saw about 40 birds that flew over our heads and made their way to the feeding area. 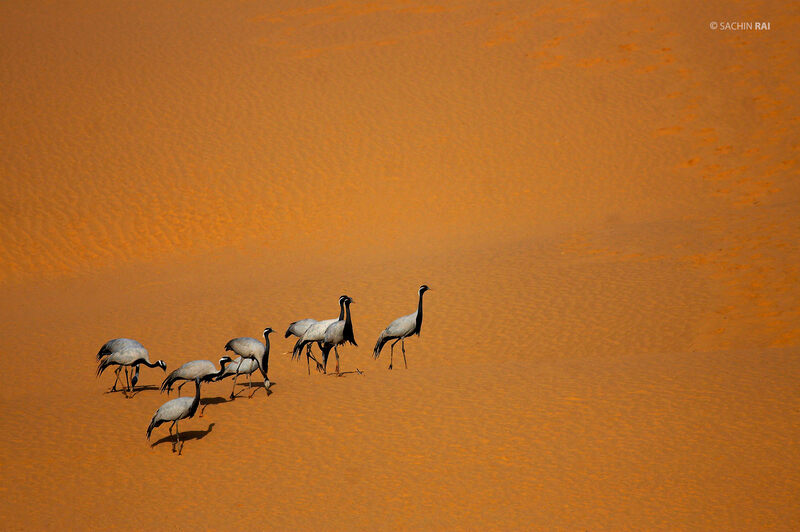 Some of them perched themselves on the nearby sand dunes en route.